Like you, we only want the best for ourselves and our animals. 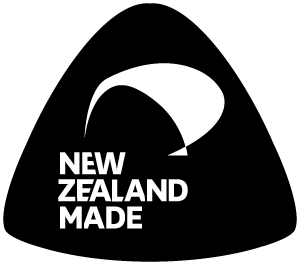 Our range of New Zealand Made all natural products looks after the skin and coats of dogs, horses and loads of other pets around the world. Full of good natural stuff, our range of Soaps, 100% Natural Spritzers, Shampoos and Paw Balm helps fight itching, deters nasties like fleas and ticks; battles fungal infections; whitens whites and leaves a show quality shine. Naturally (of course)! Nature is a powerful force and has already created the finest ingredients so you won’t find any synthetic nasties like parabens, sulfates, synthetic fragrances or colours in our range. 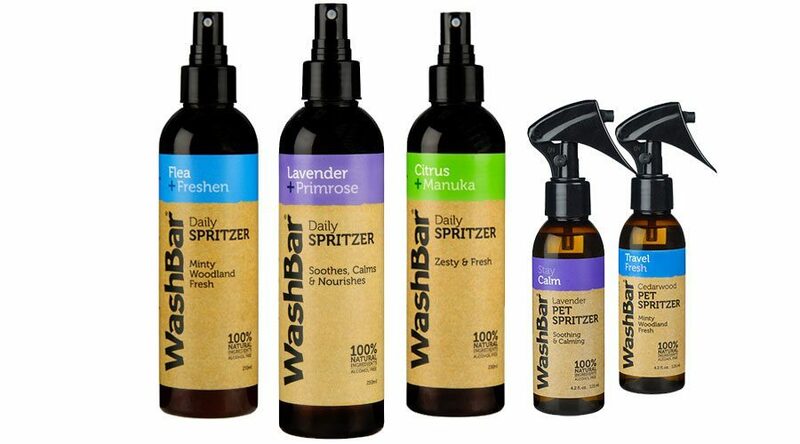 Our ingredients are spray-free or organic and all our products are cruelty free. Being sustainable and ethical aren’t just trendy terms at WashBar. To us, they are a way of life. You want your dog to smell fresh and pleasant all the time without overwhelming it with chemical shampoos and synthetic fragrances. WashBar 100% Natural Daily Spritzers aren’t just perfumes or colognes – they’re so much more – a coat freshener, deodorant and flea repellent. 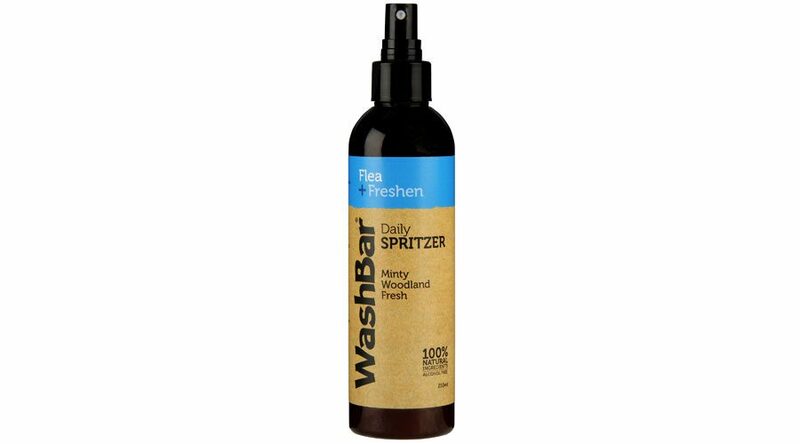 What’s really different about our spritzers is they are genuinely 100% natural. There’s no alcohol in them to irritate sensitive skin and everything in the bottle is directly derived from a plant, or pure, clean water from New Zealand. 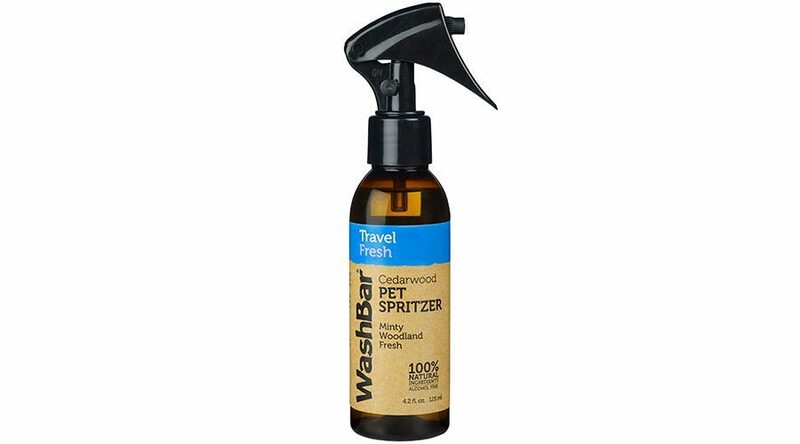 Ideal for keeping the dog smelling fresh between baths, or to make your dog smell nice at the home or in the car, or when the dog smells and it’s too cold, too wet or simply too inconvenient to give it a wash –give it a quick spritz instead. Controlling fleas is an ongoing problem. 100% Natural Flea+Freshen Spritzer is an excellent product in your toolkit to keep fleas away. 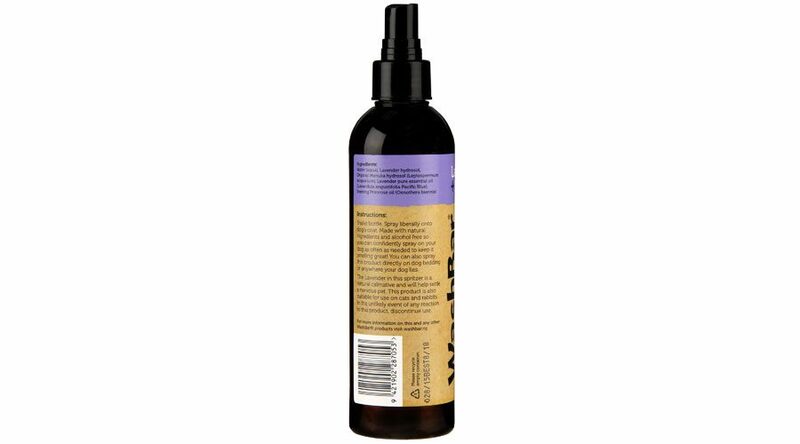 It is so natural that you can spray it on your dog, its bedding, in the car, around your home, on furniture, anywhere your dog lays. It leaves a fresh woodland fragrance and keeps fleas at bay. 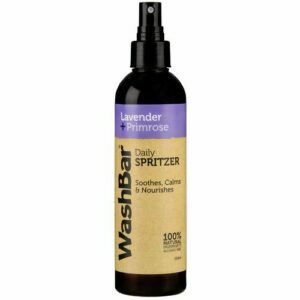 A traditional fragrance for your dog and has a calming effect. It’s also suitable for use on cats and small pets like rabbits. A ‘bloke friendly’ fragrance that leaves your dog smelling zesty fresh. Manuka Pure Essential oil helps combat skin irritation and infections while Lemon Myrtle Pure Essential oil deodorises coats and refreshes the senses. Travel Fresh is a woodland fresh fragrance that appeals to almost everyone. It is extremely effective on “smelly wet dog” and great for use between bath times, or when the dog is in the car with you. Stay Calm is ideal for active dogs that need a little help unwinding after an exciting adventure. Or for those dogs that are nervous and need help to relax, chill out and take life quietly. 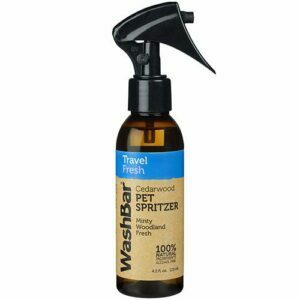 Spritzers are easy touse – shake the bottle and spray liberally onto your animals’ coat – one or two squirts for a very small dog up to 6 or more for a larger dog. It’s totally safe, you can’t overdo it. If your dog is nervous about being sprayed, spray it into your hands and gently rub through their coat. 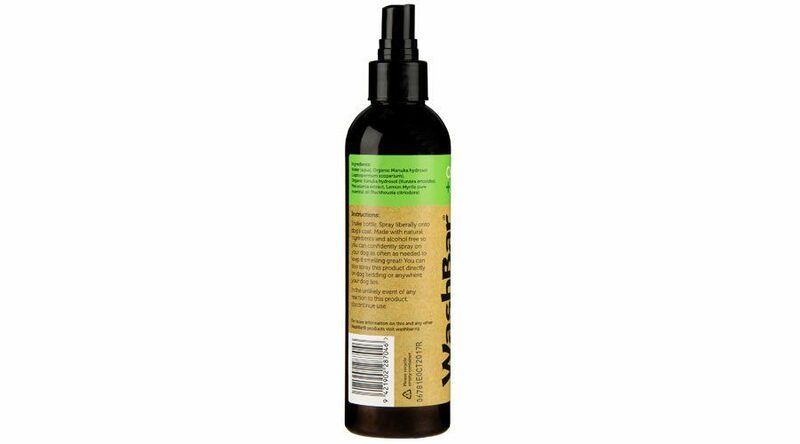 Very safe to use for pet owners who suffer from allergies or irritations as the ingredients are all natural. Water (aqua), Manuka hydrosol (Leptospermum scoparium), Kanuka hydrosol (Kunzea ericoides), Neem oil, Pure Essential Oils of Cedarwood, Rosemary, Lemongrass, Thyme and Peppermint. Water (aqua), Lavender hydrosol, Manuka hydrosol (Leptospermum scoparium), Lavender Pure Essential Oil (Lavandula angustifolia Pacific Blue), Evening Primrose Oil (Oenothera biennis). Water (aqua), Manuka hydrosol (Leptospermum scoparium), Kanuka hydrosol (Kunzea ericoides),Lemon Myrtle Pure Essential Oil (Backhousia citriodora).